If a catastrophic injury has left you dealing with expenses and damages that weren’t your fault, you deserve to be compensated. Find out how to handle your claim by working with a Wenatchee injury attorney. Regardless of the type of accident, if you were hurt and someone else was at fault, you may be entitled to compensation through a personal injury claim. For example, after suffering a serious injury in an accident, you may find yourself experiencing mental distress and be unable to work. As your bills pile up, you’ll have to worry about the long-term effects of a mistake that wasn’t your fault. To find out if you have grounds to file a personal injury lawsuit or how much your claim might be worth, contact a Wenatchee personal injury lawyer at Craig Swapp & Associates. Your lawyer will answer all your legal questions and make sure that you receive the compensation that you deserve. Catastrophic injuries can result from a variety of sources. Whether your injury originates from an intentional action or from simple carelessness, you may be entitled to compensation as long as someone else was at fault. While there is a statute of limitations of three years for filing a personal injury claim, your Wenatchee injury lawyer will know how to ensure that your claim is handled efficiently and effectively. Medical Malpractice and Defective Drugs – Medical errors of any type can lead to serious health consequences. Doctors and drug companies need to be held responsible for their careless actions. Food Poisoning – Outbreaks of Listeria and E. coli bacteria, to name just a few, taint food and can lead to illness or death if food handlers don’t follow proper procedures. Traffic Accidents – From car accidents to motorcycle wrecks, those responsible for your crash injuries can be held liable. Slip-and-Fall Accidents – Whether you fall at a friend’s house or in a store, the property owner can be found at fault for neglecting dangerous surfaces. Construction Accidents – Getting hurt while working at a construction site doesn’t always mean that work comp is the only option. If egregious negligence or a third party were involved, you might have grounds for an injury claim. Injuries happen daily. We all eventually experience being at the wrong place at the wrong time; however, in some cases, there is more to the story. If you have suffered a personal injury at the hands of another, you deserve to be heard. Knowing what kind of compensation you are entitled to after this type of injury is very important. If you think you might have cause to file a personal injury lawsuit, don’t suffer in silence! 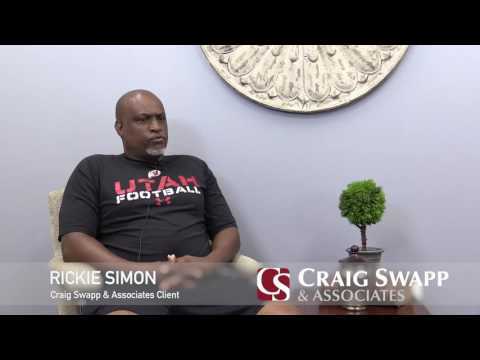 Contact Craig Swapp & Associates today. The consultation is easy, free, and could change your life for the better. To arrange a time to speak with a Wenatchee personal injury lawyer, simply complete the form below or call us at 1-800-404-9000.